NFL.com – The New Orleans Saints are poised to add a legit tight end receiving target for Drew Brees. 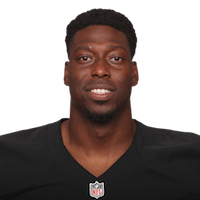 Jared Cook is expected to sign with the Saints, sources told NFL Network’s Ian Rapoport and Tom Pelissero. Turning 32 years old next month, Cook is coming off a career-year with the Oakland Raiders. As Derek Carr‘s top pass-catching target last season, Cook corralled 68 passes for 896 yards and six touchdowns. New Orleans has been starving for dynamic production from the tight end position since trading Jimmy Graham back in 2015. Josh Hill never morphed into the playmaker Sean Payton hyped about for years. Coby Fleener disappointed. And Benjamin Watson, while solid, wasn’t a matchup problem for defenses. Watson’s retirement left a big void at the position for New Orleans once again. Cook’s addition fills that hole and massively upgrades the Saints‘ offense. Ranked No. 21 overall on Around The NFL’s top free agents, and the top tight end on the list, Cook’s target share will sink from the high-water mark he saw last season in Oakland, but joining Drew Brees should keep the veteran among the top pass-catching tight ends in the NFL in 2019.